What is HourBitcoin? Should you trust HourBitcoin and invest your money in this investment program? Read this HourBitcoin review and find out why you should avoid this investment scam. From the official site, it is mentioned that HourBitcoin provides Bitcoin investment services from the United Kingdom. However, I have done some research and I would like to highlight a few red flags in this post. Read on to learn more about this HourBitcoin scam. The HourBitcoin is a high-yield investment program (HYIP). If you have read the definition of HYIP on Wikipedia, It is s a type of Ponzi scheme, an investment scam that promises unsustainably high returns on investments (ROI) by paying previous investors with the money invested by new investors. The HourBitcoin is a fake investment company. From the official website, one can notice it is an HYIP investment scam that aims to steal your hard earned money. Why? There are a few red flags I managed to pick up. If you go to HourBitCoin profile, you will see three key members of the companies. However, these photos can be obtained from www.bigstockphoto.com, www.biofab.com.pe, and www.shutterstock.com. HourBitcoin is very new and looking at the date of registry, the website was registered in 2016-06-04. The registrant’s name shows up as Jerry Mack. I have tried to search for that name on the internet and nothing shows up. This is a clear warning that the scammer does not want to reveal his or her real identity to avoid detection. HourBitcoin offers offer 2%-8% referral commission program. It is a good way to make extra money. By inviting more people to their investment programs, you will instantly receive 2%-8% ref commission from every deposit your referrals made. The HourBitcoin probably still pays their investors for now as the program is still relatively new on the market. When there is insufficient investment fund from the new recruitment to the older investors, the entire structure will collapse. Obviously, there is a lack of details on how HourBitcoin manage the money from the investors. HourBitcoin tends to be vague about the strategies used in their program. I tried to look for more information “About” HourBitcoin, all I got is just a vague information. Furthermore, they are not backed by a real and verified trader. There is no proof and information at all on who are running behind the scene. Given that HourBitcoin is an Investment Service, it should be regulated by the Financial Conduct Authority (FCA). There is, however, no record of the company in the public register. This is your hard earned money, please do not be afraid to ask questions. A genuine financial professional will usually be happy to explain in detail the investment program they are marketing. Unfortunately, HourBitcoin fails to do so. The HourBitcoin discloses their investment plans with no aim to hide its absurd and unsustainable returns. The provided calculator shows how just $5,000 deposit can earn you a 144% ROI daily under their Plan IV. To me, it is a total nonsense. Fraudsters like HourBitcoin spends a lot of time trying to convince people that extremely high returns are “guaranteed” or “can’t miss.” They try to plant an image in your head of what your life will be like when you are rich. Based on my observation, it is very clear that HourBitcoin is an investment scam. I reviewed some other similar HYIP in my blog too like Amazing 5 and Capital7. They both work the same way as HourBitcoin. 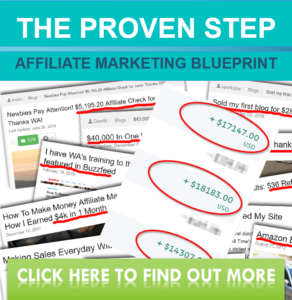 Seven Dollar Click Review – Is it Real or Fake PTC Program? Earn Tech Investment Review – Is It a Scam or Legitimate HYIP? Next story Paid Instantly Club Review – Is It Legitimate or a Ponzi Scam? Previous story Can You Really Make Money Selling Beard Oil Online?